Serving the medical specialty needs of the beautiful Heber Valley for many years, Revere Health’s specialty center offers patients a convenient location and quality healthcare. Our office in the Heber Valley Medical Center gives our Heber physicians access to the best technology and expertise in the area. 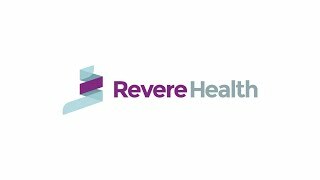 Learn more about the specialties Revere Health offers in Heber. Ultrasound waves are used to examine the functionality of the heart and diagnose heart diseases and disorders. A procedure measuring heartbeat and blood pressure while exercising to determine the health of the heart and blood vessels. Transesophageal echocardiography is a test used to produce ultrasonic imaging of the heart to better diagnose disorders. A small battery-operated device that is used to record the heart’s activity for those who have irregular cardiac symptoms. Your doctor will determine if demand pacing or rate-responsive pacing is a better fit for your needs. An exercise test on the treadmill is a way to test the effect of exercise on your heart and your ability to breathe. Ultrasound test that examines blood vessel circulation in the body to identify blood clots and artery blockage. Radioactive tracers are used to detect radiation the body. Digital images are generated and used to make a diagnosis. Circulation equipment provides support to a patient’s circulatory or respiratory functions in certain heart procedures. A scan that screens for damage in the bones, the spread of cancer and potential bone infections and trauma. A hepatobiliary scan captures images of the liver, gallbladder and bile ducts to help diagnose medical conditions. A heart scan that calculates your risk of developing coronary artery disease, a common heart condition. Lab tests look at the blood’s ability and time it takes to clot, along with lipid levels related to cholesterol. A non-invasive method of obtaining blood pressure readings while the patient is in their own environment. The process of introducing catheters into veins or arteries, then into either the left or right side of the heart. A test that uses X-rays and dye to find narrowed or blocked areas in the arteries that supply blood to your legs. This is a branch of cardiology that focuses on catheter-based treatment of structural heart diseases, including angioplasty and stent. This opens the coronary arteries that supply blood to the heart. A stent is a tube that expands inside the coronary artery. This surgery treatment uses a catheter with a sharp blade to remove plaques of fatty material from blood vessels. The blocked area of the peripheral artery is removed through an inflated balloon within a catheter. A catheter-based closure of the patient foramen ovale (PFO) and atrial septal defect (ASD). A specialty branch of physiology concerned with the study, diagnosis and treatment of heart rhythm disorders. A procedure used to scar or destroy a small area of tissue in the heart that is causing abnormal rhythm. A generator is placed on the left side of the chest, attached to a wire guided through a blood vessel to the heart. This is a pager-sized device placed into the heart ventricles to help your heart keep beating effectively. The lead tip of this specialized pacemaker is implanted and attached to the heart, helping heart failure patients. Lead extraction through the femoral or subclavian vein. Special catheter-guided lasers help free the lead from the surrounding scar tissue. Patients lie on a table that is slowly tilted upward, used to measure blood pressure, heart rate and gravity’s effect on the heart. Surgical removal or obliteration of varicose veins to reduce their appearance and minimize pain and aching. A water-based gel is applied to your legs, and an ultrasound probe is used to scan the arteries in your legs. Admission to the hospital with a doctor’s order based on need of emergent, time-sensitive services.